Warning! We had to tweak some of the dates of our earlier advertised courses... our sincere apologies... but just by a week thereabouts. Nothing major! So without further ado, let's look at the Courses! 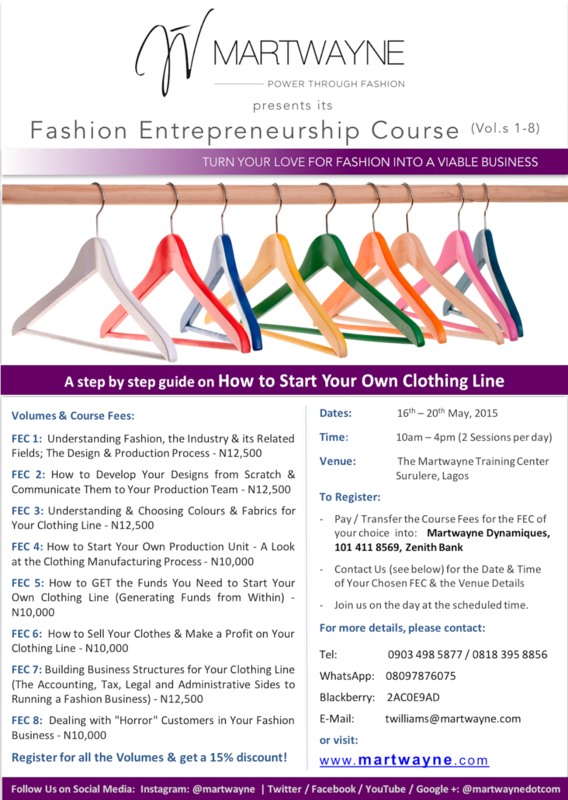 And our month starts off with our very popular Fashion Entrepreneurship Course. Some people thought we cancelled it but we have actually been running it online on a one-on-one. But many still like the face-to-face interaction so we thought we'd revive this again! It starts on the 16th of May, 2016 (not the 9th of May as earlier advertised) and lasts for 5 days. 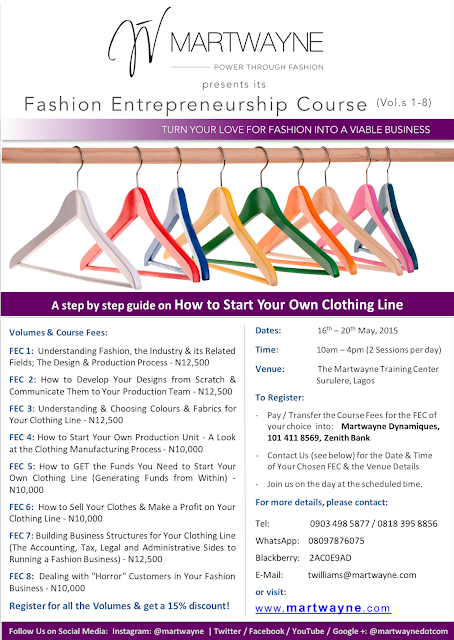 The best part of this Course is you can register for the Volumes you want or register for everything and get a whooping 15% discount! Like WOW right?! For now, we have only the weekday option. We will have the weekend option soon enough so do watch out for it. Yes yes! Here it is!!!!! 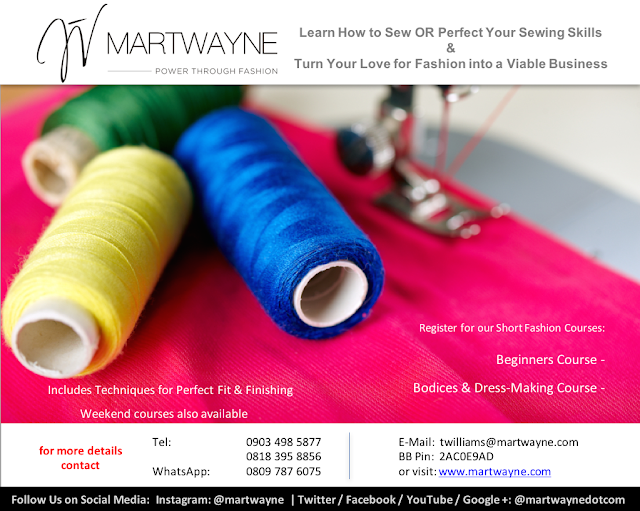 :-D :-D :-D Our very FIRST Menswear Course!!!!! I am soon excited! We have been meaning to run menswear courses for a bit but there has been one or two delays. But we are kicking off with our Fashion Illustration with Computer Aided Design for Menswear! 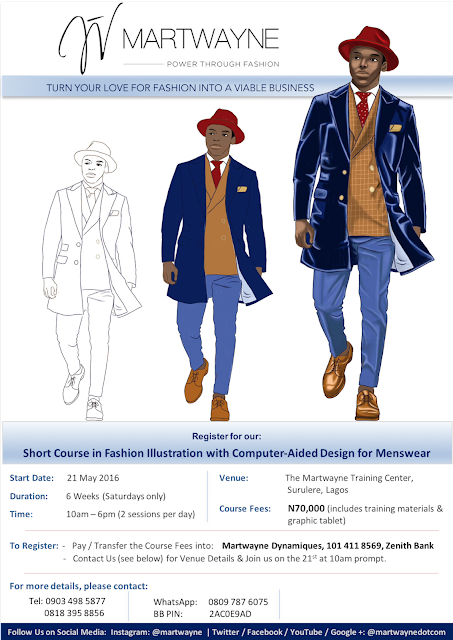 I am sure the menswear designers will be pleased that they are not left out this time! :-D I can assure you, it will be a good one! Only the weekend option is available for now and it will last 6 weeks. Our Ladieswear Option has always been fab and I am sure this will be as well! It starts on the 21st of May 2016. Similar to the last Streams, we have a weekday and a weekend option. The weekend option for busy professionals starts on the 21st of May while the weekday option starts on the 25th of May, 2016. This is another BRAND SPANKING NEW COURSE available at Martwayne and I must say I am very happy we have been able to finally launch it! 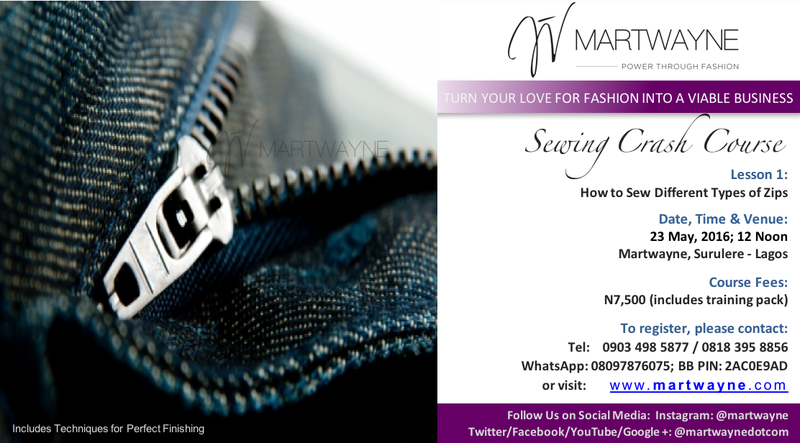 It's our Sewing Crash Course and this is in response to the many many requests we have had from people who want to learn specific techniques or send their tailors over to learn about a specific method of finishing. We would have launched this AGES ago but we couldn't due to space constraints. Now that we have been able to sort that out, I am very pleased to say, you spoke and we listened. And YES our Sewing Courses started last week. We still have seats available for the weekday options of the Beginners Course and Part 1 of the Bodices and Dressmaking Courses. 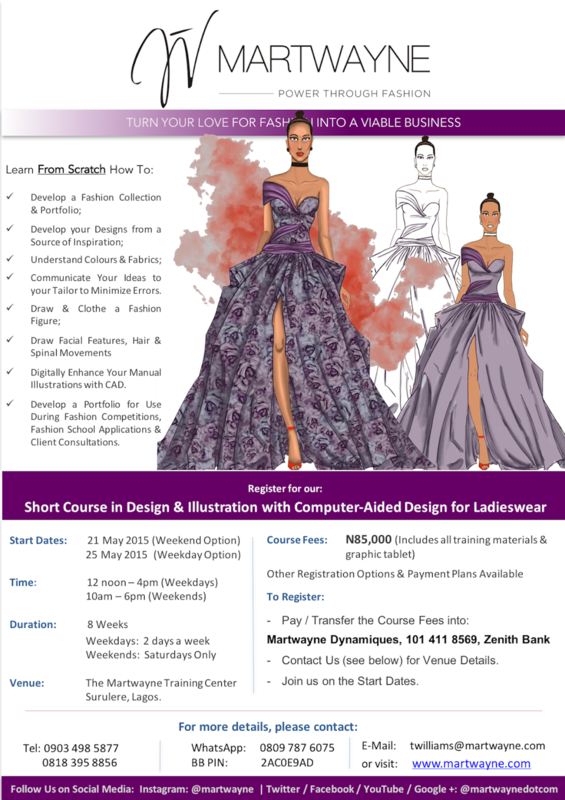 We are also offering a weekend option as well for busy professionals. We do have other projects coming up... actually we already started some on a small scale just as a test run before we launch them fully. These are targeted more at designers and I will also put up the details. So if you are a designer who needs help sourcing for things like your clothing labels, various machine feet, hangers, adjustable mannequins, bias binding makers and other tools you need to run your business more effectively, then you should watch out for this post! As I said, we have been busy! Please forward this to everyone you know who needs this! Thank you SO much for your referrals as well! We really appreciate it and say GOD BLESS YOU from the depths of our hearts! Have a fabulous fabulous FABULOUS month ahead!